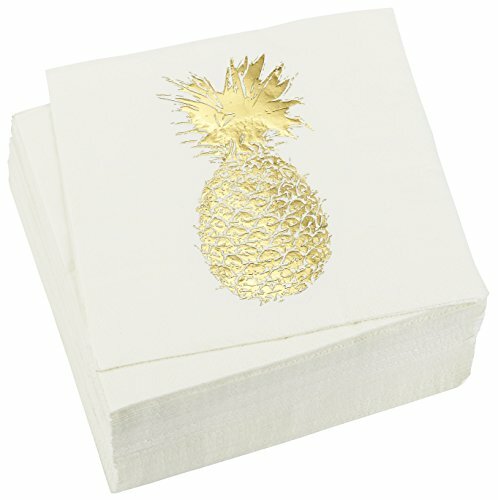 These elegant pineapple design napkins are the perfect party accessory and decoration for any occasion. Each package includes a bulk set of 50 sheets of napkins made of soft and highly absorbent, 3-ply tissue to ensure durability and comfort. Place them on your dining tables and bar tops to make sure your party guests will always have these practical serviettes close at hand. 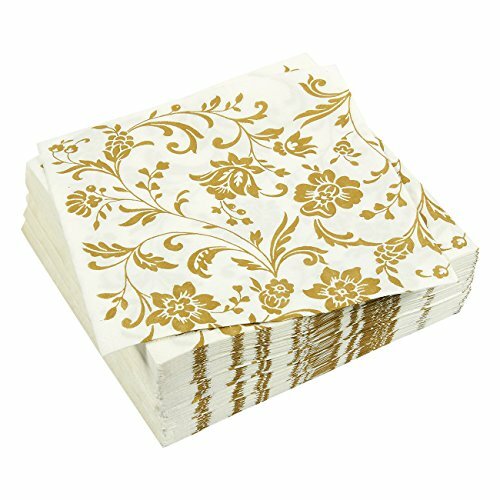 The napkins perfectly go together with other party favors or dinnerware and make your event unforgettable. Made from sustainable, biodegradable paper, our napkins keep both your tables and our planet clean!Each sheet is 2-ply to ensure that it doesn't tear easily when used. It's also highly absorbent and soft to ensure a comfortable wiping experience. Do you want to make your upcoming event unforgettable? 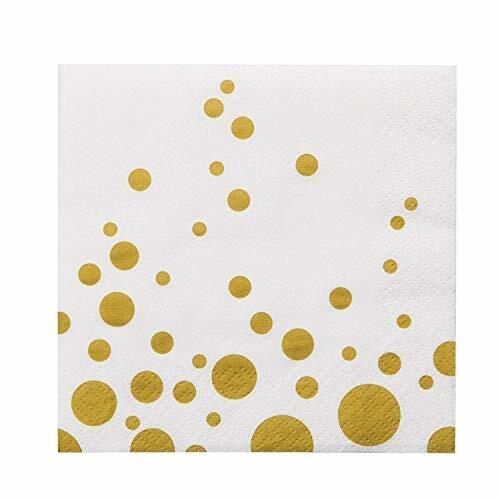 Add an extra dose of fun to your event decor with our cheerful paper napkins! 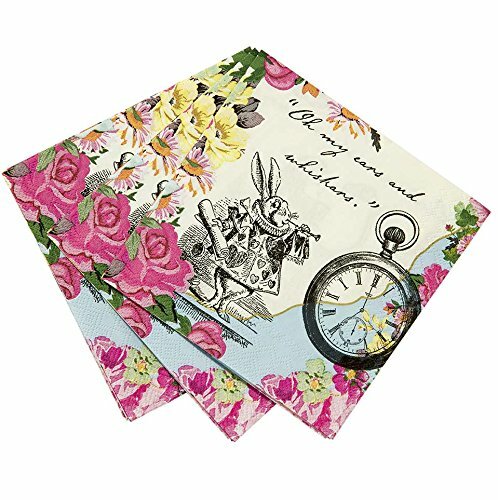 Place them on your dining tables and bar tops to make sure your guests will always have these practical serviettes close at hand. 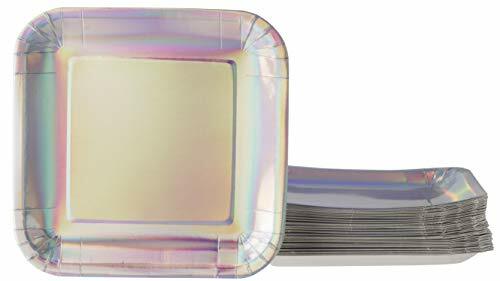 This silver foil holographic disposable plate dinnerware set is a party must have! Enough for 48 guests. Plates are thick and rigid and won't fold while carrying yummy dishes. The set is 100% Food Grade and BPA-Free. 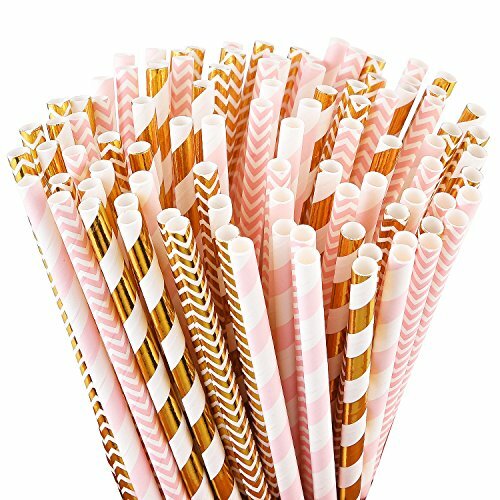 Suitable for children birthday parties, graduation, baby shower, bridal shower, and holiday celebrations with your friends and family. Plates are 7 x 7 inches. 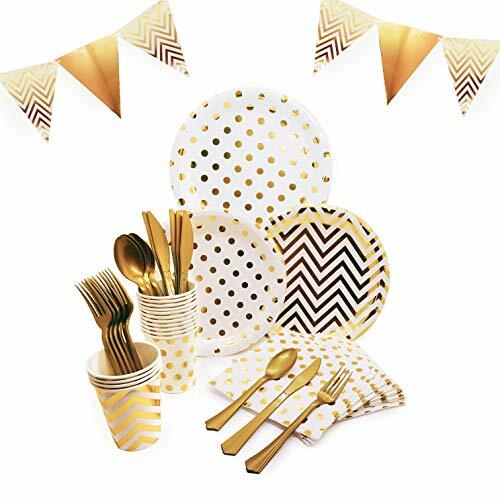 This Disposable Dinnerware Party Pack has all the dinnerware you need for 24 guests. Includes 24 of each of the following items: Plastic Knives, Spoons, Forks and Paper Plates, Napkins and Cups. Plates are thick and rigid and won't fold while carrying food. Napkins are soft and absorbent - a pleasure to use. Flatware set is 100% Food Grade and BPA-Free. 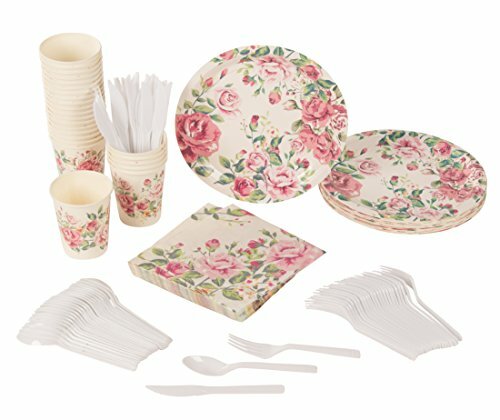 Plates, Cups, and Napkins are made of environmentally friendly biodegradable paper. Suitable for girls birthday parties, baby showers, bridal showers, rustic weddings, and family gatherings. Flatware is 6 inches long. Paper cups hold approximately 250ml of liquid. Napkins are 2-ply and measure 6.5 x 6.5 inches. Plates are 9 inches in diameter. 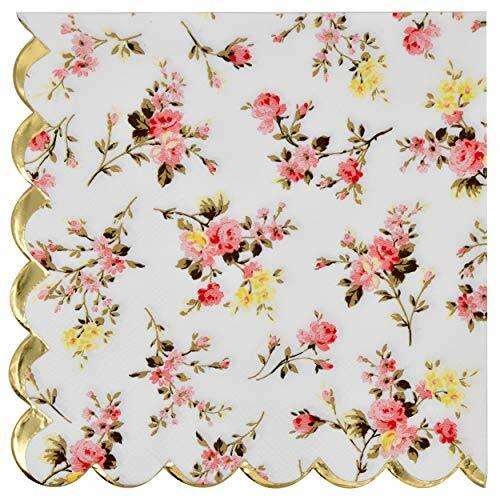 These floral theme printed napkins are the perfect party accessory and decoration for your special occasion. Each package includes a bulk set of 150 sheets of napkins made of soft and highly absorbent, 2-ply tissue to ensure durability and comfort. Place them on your dining tables and bar tops to make sure your party guests will always have these practical serviettes close at hand. 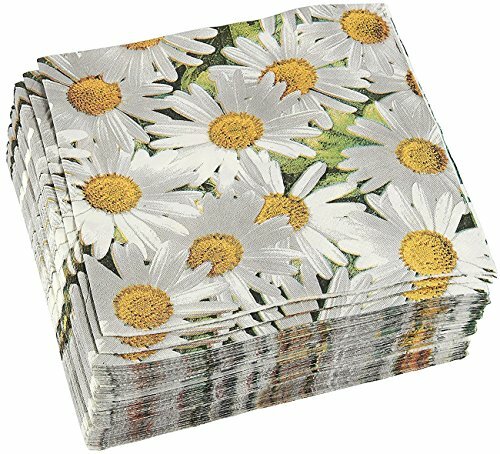 These picnic paper napkins can tackle most small messes. 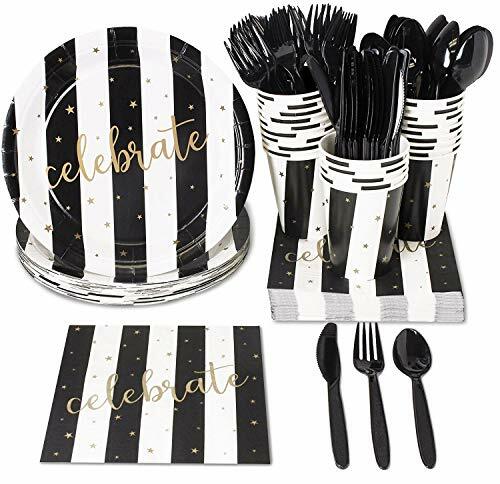 Each set comes with 80 napkins for you and your guests to use at any family dinner, birthday party or sports party. They're great for game days, barbeques, sports-themed parties, and birthdays. These gingham napkins are great for entertaining at home and will make an excellent addition to any cocktail party or special event. Made with quality materials and graphics that any picnic lover will love, each piece in this bundle will make your party an event to remember. It features checkered napkins that will give a lively and thrilling atmosphere in a party room or space area. Make a statement with these red and white printed napkins which are sure to complement your party dinnerware. They're disposable and affordable, much cost saving. Avoid laundry, saving water and detergent, protect the eco. 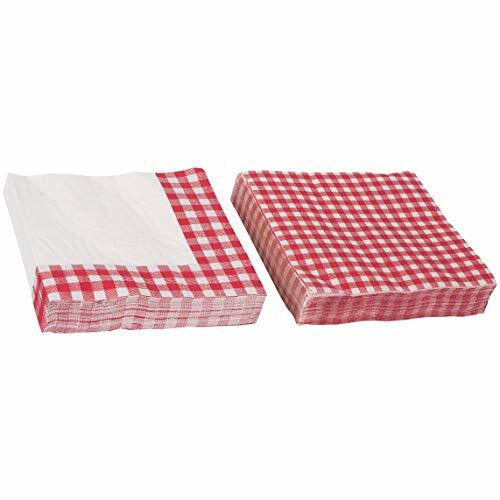 Features: 80 Piece Picnic Themed Paper Napkins Picnic Themed Napkins measure 6.5" x 6.5" Red and white colors Ideal for any tailgate party, picnic party, birthday party and family dinner When fun days goodies get a little messy, turn to these Picnic-Themed napkin. Keep some on hand at your Birthday party and be sure to take some on the road for all of your tailgating events. 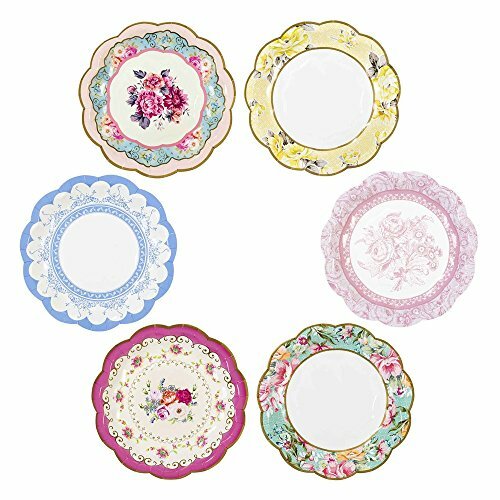 Introducing to the bestselling Truly Scrumptious range our stunning vintage plate assortment! 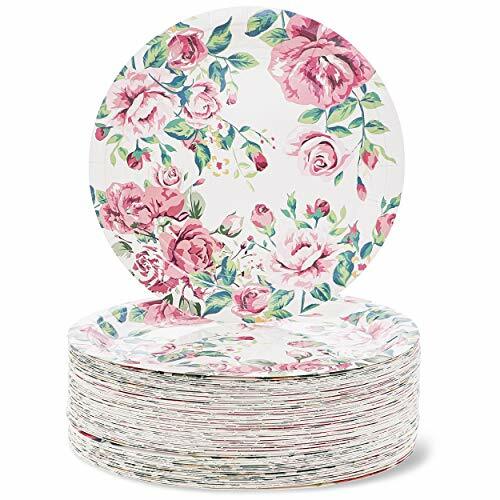 With everyone's favorite vintage floral designs, these packs contain 12 paper plates in 6 assorted designs and will give your afternoon tea party a quirky twist! Fill to the brim with sweet treats and tasty food. 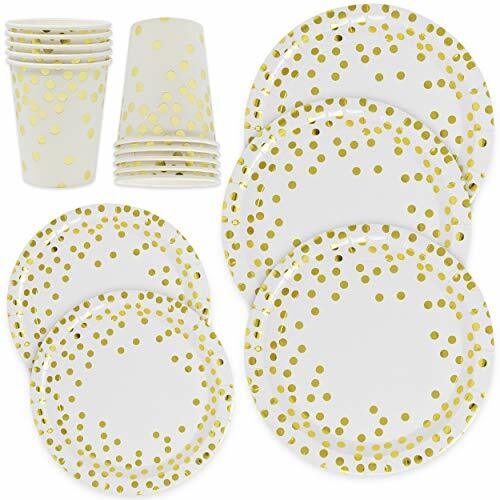 This Disposable Plate Dinnerware set is a party must have! Enough for 80 guests. Plates are thick and rigid and won't fold while carrying yummy dishes. The set is 100% Food Grade and BPA-Free. 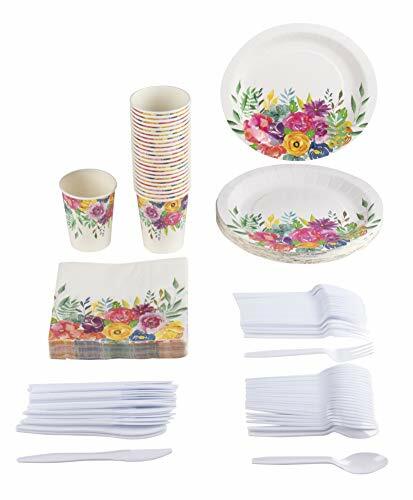 Suitable for children birthday parties, floral themed parties, graduation, baby shower, bridal shower, and holiday celebrations with your friends and family. Plates are 9 inches in diameter. 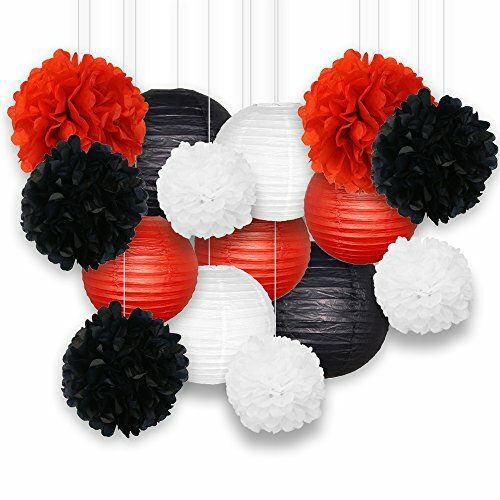 DIY tissue paper flowers pom poms and paper lanterns Set of 18. 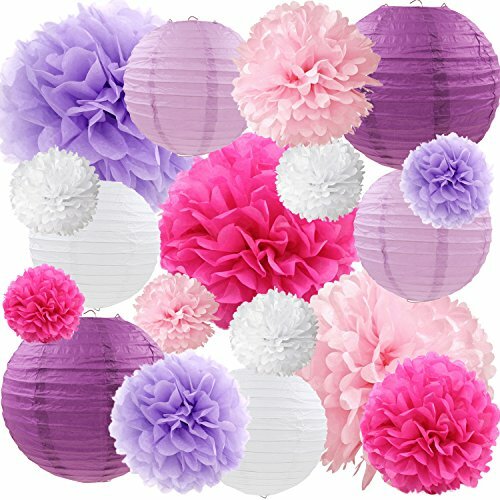 Total 12 pieces Paper flowers and 6 pieces paper lanterns a set. Perfect for Wedding Bridal Shower, Girls Birthday Party Decorations and Good photo booth props. Tissue Paper Flowers includes - 1x10"+1x8"+1x6" rose, 1x10"+1x8"+1x6" pink, 1x10"+1x8"+1x6" light purple and 3x6" White. Tissue Paper Lanterns includes - 2x8" Purple, 2x6" light purple and 2x6" White. All items need DIY, They are very easy to finish, please reading the Instructions from the package of Beurio. 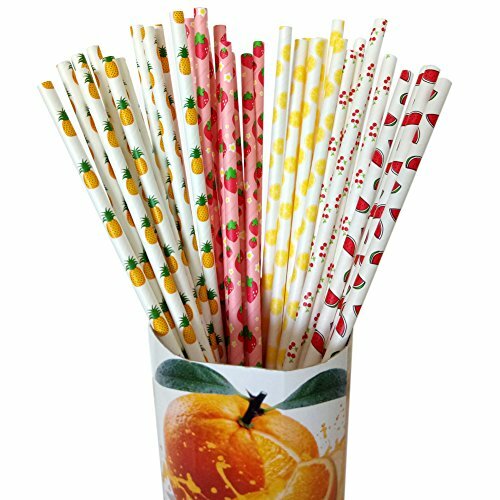 Compare prices on Decorative Paper Party Supplies at Elevelist.com – use promo codes and coupons for best offers and deals. We work hard to get you amazing deals and collect all avail hot offers online and represent it in one place for the customers. Now our visitors can leverage benefits of big brands and heavy discounts available for that day and for famous brands.